What architects can do to fight climate change. SOM architect Mina Hasman with graduate students at the University of Cardiff, Welsh School of Architecture. In the fight against climate change, architects should be at the vanguard. The reality is that our profession is falling short of its potential to lead. The agenda for action set by international organizations in recent years has made the urgency startlingly clear. 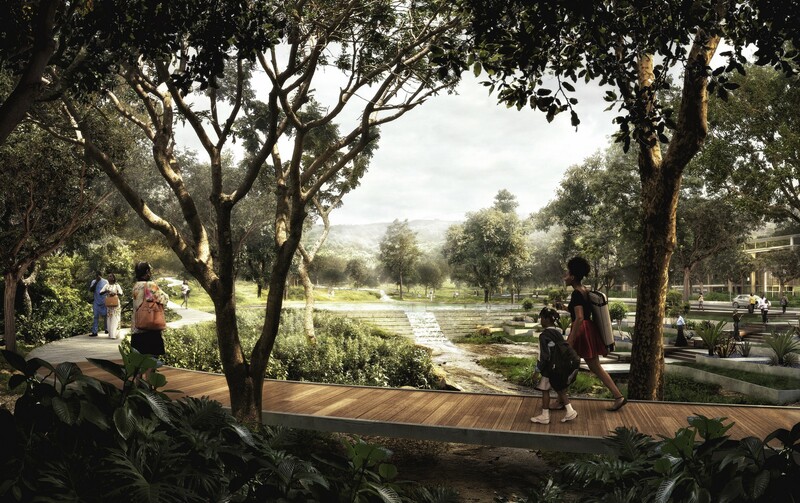 As designers of the built environment, we share an enormous responsibility for how our work factors into the climate equation. To limit global warming and its catastrophic consequences, mitigation and adaptation strategies must be implemented at an unprecedented scale. But the design and construction industry is still a long way from achieving this. Design strategies now seen as ambitious, such as net-zero carbon, must become the norm. It’s true that much progress has been made in the past few decades, as the notion of sustainability has gone mainstream. Well-established “green” rating systems have become all but expected, giving designers and their clients a common vocabulary for performance benchmarks. And an ever-growing roster of awards programs recognize projects that go above and beyond. But if we hope to reverse the trend of climate change, we have to go much further. Design strategies now seen as ambitious, such as net-zero carbon, must become the norm. What would it take to design our buildings and cities for a zero-carbon future? Do we have the knowledge, the tools, and most importantly, the conviction, to achieve what’s needed — a total commitment to sustainable development? Can we collectively shift our priorities from aesthetic appeal and economic viability to environmental consciousness? 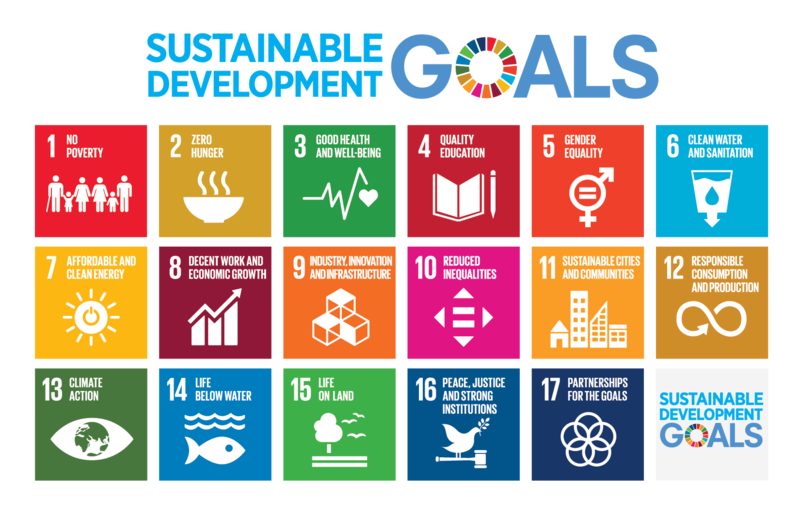 The 17 Sustainable Development Goals defined by the UN’s 2030 Agenda for Sustainable Development. These questions were on my mind throughout the past year as I participated on the Royal Institute of British Architects (RIBA) Ethics and Sustainable Development Commission. This task force was formed to identify strategies to assert sustainability, public interest, and social purpose as core values within the profession. With the UN’s 2030 Sustainable Development Goals as a benchmark, I worked alongside my colleagues on the Commission to define the steps that could mobilize change in the UK. 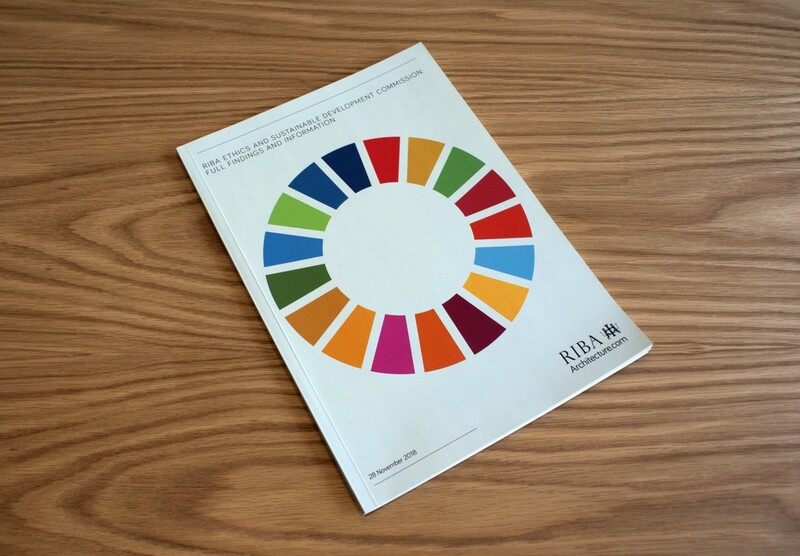 The final published report from the RIBA’s Ethics and Sustainable Development Commission. What we need first is a cultural shift within the profession. There’s no time left to ignore or minimize our responsibility as designers, and acknowledging this is just the first step. We must define and commit to clear principles for urban development — placing sustainability, in a holistic sense, at the center of our work. Through many workshops with my colleagues on the Commission, and conversations with the Youth Commission and Consultative Group formed by individuals across the industry and academia, we came up with a roadmap: a set of recommendations that the RIBA issued in a report in December 2018. These recommendations seek to enact change throughout the whole life-cycle of an architect’s career — from education through professional practice. Mina with graduate students and their assistant professor at the University of Cardiff, Welsh School of Architecture. An architect’s journey starts in design school — this is where priorities and values are shaped. The academic curriculum must place sustainability and ethics at the center of every young architect’s education and outlook. The culture that’s created in school must then be carried through to professional life. Here, institutions such as the RIBA have an enormous potential to elevate the standards for ethical and sustainable professional practice. Government has a crucial role to play, as well, by enacting policy and legislation that upholds the mandate for sustainable development. But we cannot wait for legislation or policy to come into place. We need to start by taking every step we can. Through a collective sense of ownership and continuous collaboration, we can cultivate the innovation and leadership that is much needed within the industry. As designers, we can lead by realizing these values in our projects. It may seem overwhelming for one person or practice to take on the challenge — but working together, as professionals allied throughout the UK and around the world, we can make a big difference. Through a collective sense of ownership and continuous collaboration, we can cultivate the innovation and leadership that is much needed within the industry. In this way, we can shift the paradigm and empower the next generation to carry it forward. 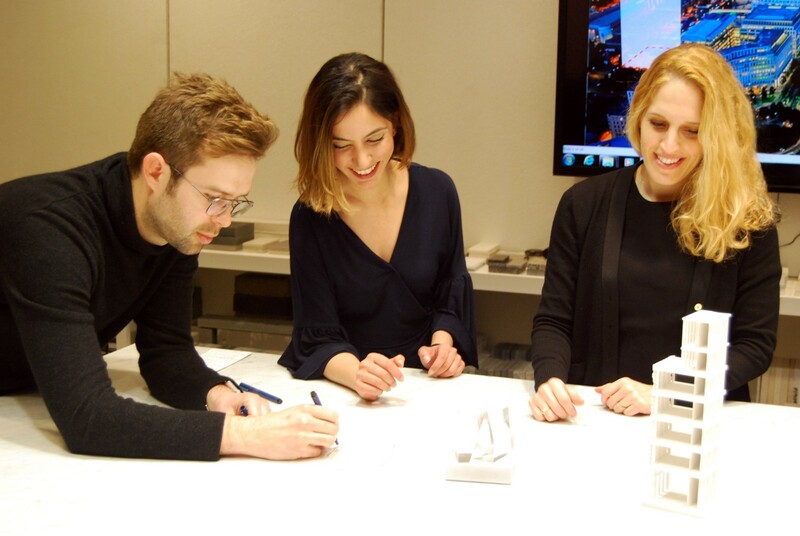 Mina and colleagues discuss design concepts at SOM’s London office. We must also leverage our influence to keep the building and construction industry accountable. Designers are just one key player in shaping the built environment — it often comes down to property developers and government agencies to set priorities. We should be advocates, both within and beyond our profession, and mobilize the industry to achieve these goals. There’s no excuse today for neglecting sustainability. Despite the perception that it’s more expensive, sustainable design — when approached in a holistic way — can actually be a longterm boon to a property owner’s bottom line. We should help our clients understand the business case for sustainability. If they raise questions about cost and practicality, we must come prepared with answers and creative solutions. Manhattan Loft Gardens, a mixed-use tower in the London district of Stratford, prioritizes both environmental and social sustainability. Left: Photo courtesy MLC © Oliver Douglas. Right: Photo © SOM. We also need to overcome the misconception that sustainable design means compromising on aesthetics and architectural identity. The crisis we face today demands a reconsideration of our values: if a design is not sustainable, it cannot be beautiful. When a design team takes on a project with a clear vision and a holistic approach, it has the potential to create the most meaningful, innovative, and enduring architecture of our time. I’ve often heard that we don’t have the technology needed to meet rigorous performance goals. But technology is only a part of the answer. When we consider sustainability in a holistic sense — not only in terms of environmental performance, but also lasting value, social prosperity, cultural inheritance, and revenue potential — it becomes clear that not every sustainable building needs to be high-tech. No matter the constraints, there’s so much we can do with the resources at hand. We’re limited only by our capacity for creative thinking. 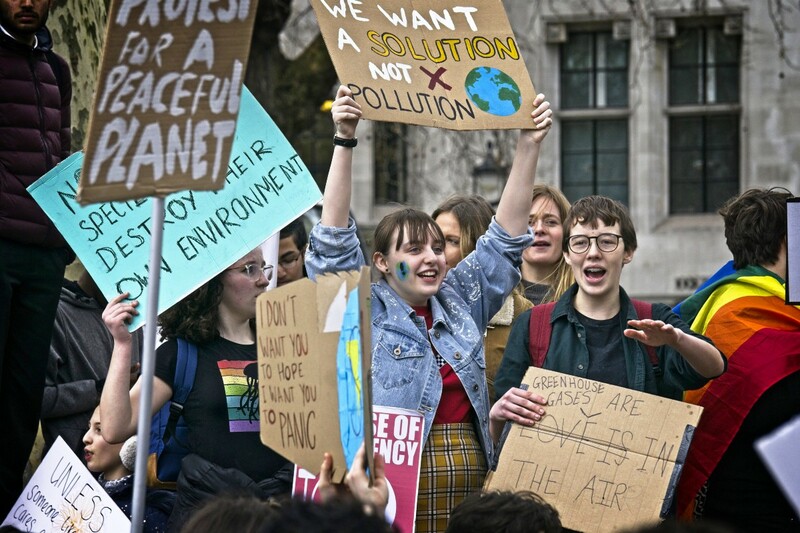 Students protest environmental inaction at a climate strike in London on March 15, 2019. 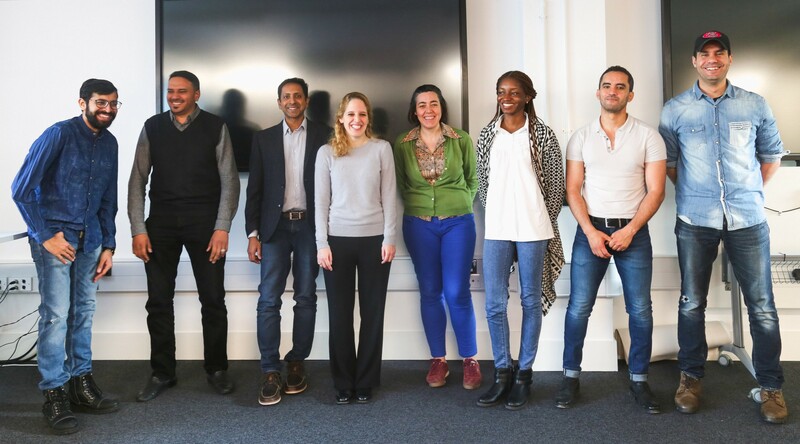 Serving on the RIBA’s Ethics and Sustainable Development Commission was an opportunity to reflect on the connection between the two key themes — ethics and sustainability. In many ways, sustainable development is inherently an ethical concern. The pivotal 1987 Brundtland Report defined it as “development that meets the needs of the present without compromising the ability of future generations to meet their own needs.” In other words — while this may be easy to overlook — sustainable development is nothing less than an ethical and moral imperative. It’s a duty we have to our children, to those who come after us. Framing it in these terms can help to inspire the shift in mindset that we need to address the global challenges that are becoming ever more urgent. Another way to consider the question: place the focus on people. This is what inspires me and my colleagues in our work every day. With each design choice we make, right down to the smallest detail, we have a remarkable opportunity to make people’s lives better. We think about not only the people who will use our buildings five or ten years from now, but also the legacy that each project will leave to future generations. This is what drives our conviction and our commitment: a belief in the power of design — and the agency we have as designers — to build a better future. Mina Hasman is an architect based in SOM’s London office, where she leads sustainability and wellness initiatives—working with interdisciplinary teams to develop and test new design approaches, and applying them in projects around the world. She contributes her expertise widely to professional organizations, academic institutions, and international conferences. Mina was selected as a 2018 Future Leader by the UK Green Building Council, and she serves on the RIBA Expert Advisory Group of Sustainable Futures.